On the bus trip to Oxford, Spencer sat with many Chinese international students who are studying at the University of Surrey for their masters degree, and asked them what the best place to get Chinese food was. They said that not only was there not one good place for Chinese food, but also the food in Britain was terrible. Because they indubitably thought he was very cute and invited him to a home-cooked meal at their apartment! Not wanting to go solo, he also invited me. I have not had Chinese food since Beijing, so I decided to accompany Spencer to this homecooked meal. It turned out to be the best meal I've had here yet. Spencer and I had some language issues arriving at the apartment. Most of our confusion stemmed from the fact that Chinese students here have two names, one Chinese and one for English classes (that they only use for class and for other English speakers). No wonder their roommates were confused when we came to their door asking for "Christine" when they used Chinese names with one another! As soon as I arrived at the kitchen, the students looked at me with wonder. 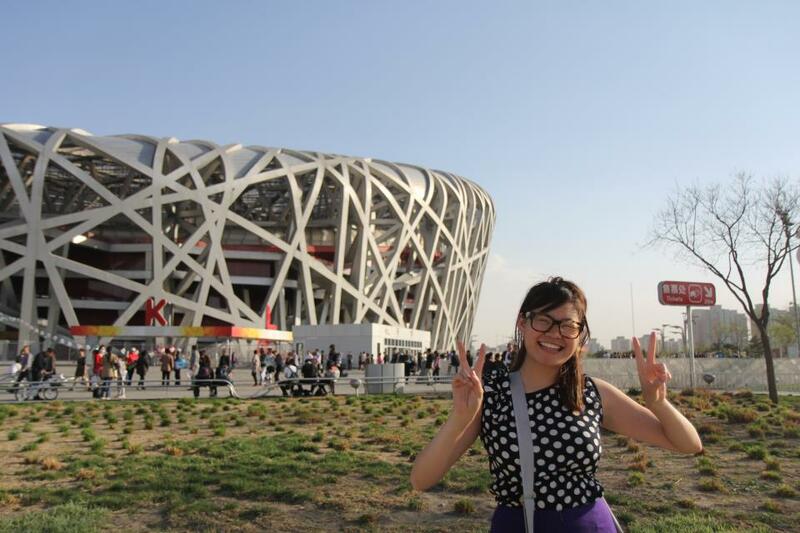 I greeted them in Mandarin and explained that I was ABC--or American Born Chinese. Most people recognize this as a person who looks Chinese on the outside but has many Western mannerisms. I believe this to be true, but I find it interesting that it is relegated specifically to "America"--perhaps specifying that America, many cultural connections become lost in the "melting pot". For dinner, the students made the same dishes my father would make me as a kid: spare ribs, bok choy, eggs and tomatoes. I made sure to announce that I was very grateful for this home-cooked meal, especially since it struck me so personally as part of my heritage. They were very polite, claiming it was their pleasure. The only male of the group besides Spencer cleaned the dishes and serenaded us in songs in both English and Mandarin. Spencer decided to represent North Carolina by playing Avett Brothers cover "Murdered in the City". After the delicious meal and much laughter, the Chinese students escorted Spencer and I to the bus stop where, curiously, they asked me whether or not I had ate lots of chicken. I responded that yes I do eat chicken often, and they all nodded at each other, catching their friends' eye in agreement. It all made sense to them, they believed, that I was so tall and towered over all of the students because I ate chicken, whereas their diet consisted mostly of vegetables. Maybe nurture has more of an influence than nature. That would explain why I am so loud, although I think that is a natural consequence of being a teacher--our voice carries! 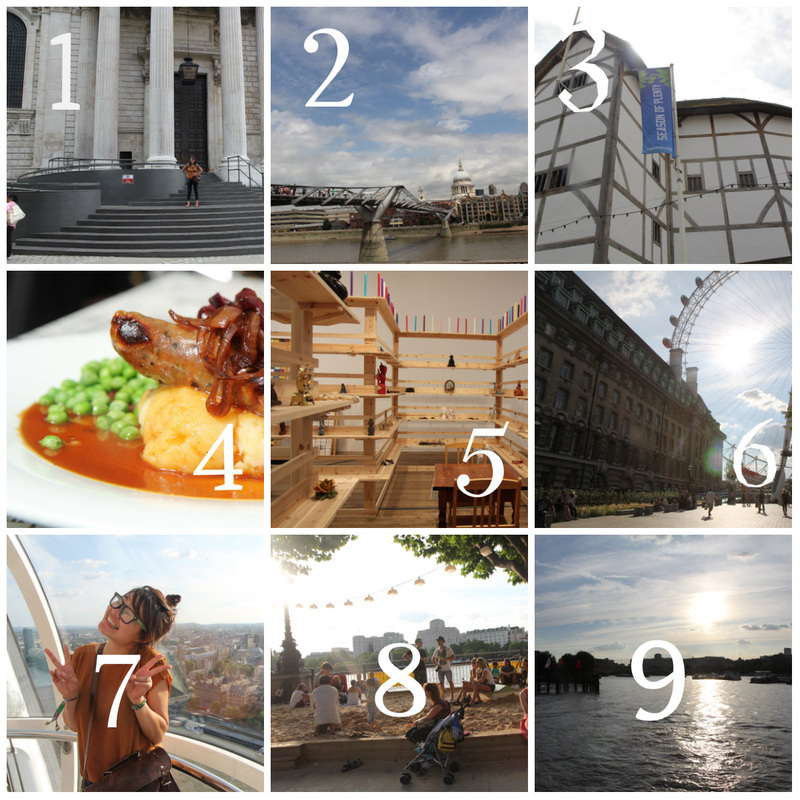 DAY IN THE LIFE / LONDON 7/25-7/26. This weekend, I spent my time in the heart of Central London. (1) In the morning, we got off the stop for St. Paul's Cathedral. St. Paul's is an iconic figure of religious faith dating back to the 17th century, with church services still in session. We made sure to start our day off right at the columns of this historic monument! (2) Closely connecting St. Paul's to the other side of the The Millenniium Bridge, built in 2000. This bridge is a latest great design and was featured in the latest Harry Potter movie. The smell of aromatic cinnamon nuts fill the air as passersby walk on pass such great landmarks as the London Bridge. We take photos of fellow classmates while a snobby Brit says, "It's like you're the only ones on this bridge!" (3) Upon reaching land from the bridge, we see Shakespeare's Globe! This is actually a reconstruction of the actual theatre, and features plays both in the day and in the nighttime. We cannot score tickets to Macbeth, but we do get to see the actors rehearse. In the meantime, we tour the exhibition gallery and talk to some English teachers from Nepal, who have travelled miles, just like us, to witness the play performed in original-reminiscent times. (4) Lunch at a pub on the other side of the bridge! I order bangers and mash, an English specialty, and it is actually very good! (5) After a relaxing calm, we head on over to the Tate Museum of Modern Art, in which contemporary pieces are held. The Tate (so far) is my favorite museum of all of Europe. The first visiting exhibit is from African painter, Meschac Gaba, who moved to Sweden and began to note the differences of the two different worlds, representing in the room display. How I love modern contemporary art. 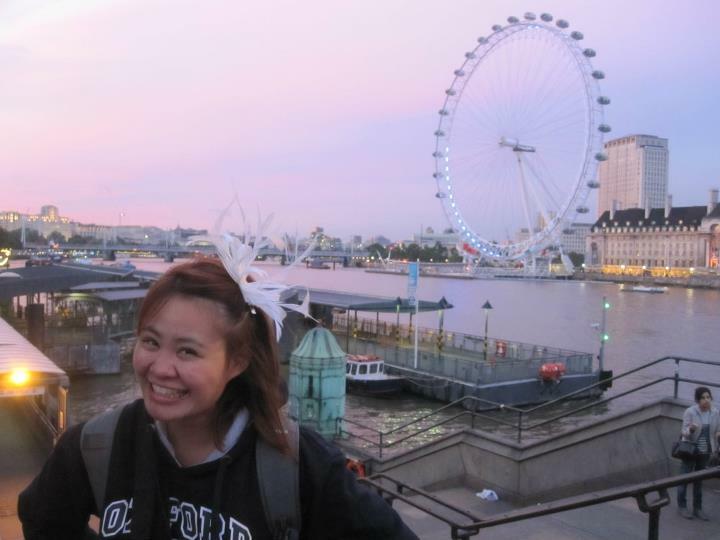 (6) One of trio becomes bored with modern art, so we go to modern structures--the London Eye! We watch a video in 4D to prepare us for the experience on the Eye, like a bird soaring through the sky, witnessing all of London's grand landmarks. (7) I get to see Westminster Abbey from high above, and I'm excited! (8) Once we get an eye ride, we venture out along Victoria pier. There is a neighborhood festival occurring and sand is actually utilized for a sort of semi mock-beach scene. I have a riot just looking out along the spectators. (9) Finally, sunset along the harbor, placing peace upon a wonderful, eventful day. 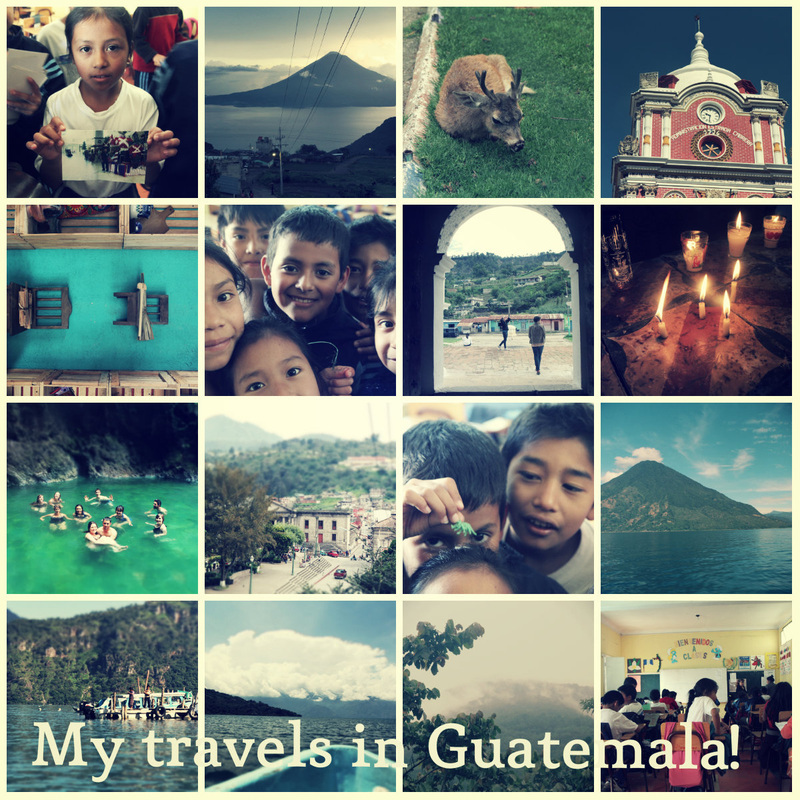 For two months, I am conducting research in Guatemala while taking this course remotely. The above is a PIXLR of my travels thus far! The children featured in the above photo attend Escuela Oficial Urbana Mixta Tipo Federación José Vitelio Ralón (Everything and everyone here has long names, don't be daunted!) Sololá, Guatemala. I am teaching English to 54 students in the third grade. For the majority of them, they are receiving the English instruction for the first time in their entire life. This is my first time teaching entirely in Spanish, which only strengthens my belief in teaching English language learners in their native language. In exchange for teaching, I am learning Kachiquel, the native Mayan language here. I plan to learn as many languages as possible in order to provide the best instruction for my students. Simultaneously, I have been recording a corpus of speakers for two purposes: first, to discover the frequency with which Kachiquel is declining, the second to investigate methods to implement bilingualism and language preservation. Therein are tales of their culture, the language of their blood and history. Personally, I feel emotionally connected to these students since I have lost my native language (Cantonese) as well--through ESL instruction when I was younger. I do not want these for my students. I hope the Integrated Writing & Technology Course will imbue me with resources to write a children's book from Kachiquel to English, to be used in my own classroom, and perhaps for classrooms abroad. I am an ESL teacher at Partnership Elementary, a Masters student in English Linguistics, and a Teaching Assistant in ENG 101 at North Carolina State University. My research interests are in bilingual education, native language instruction, and dialect awareness. I am excited for my second trip back to England! 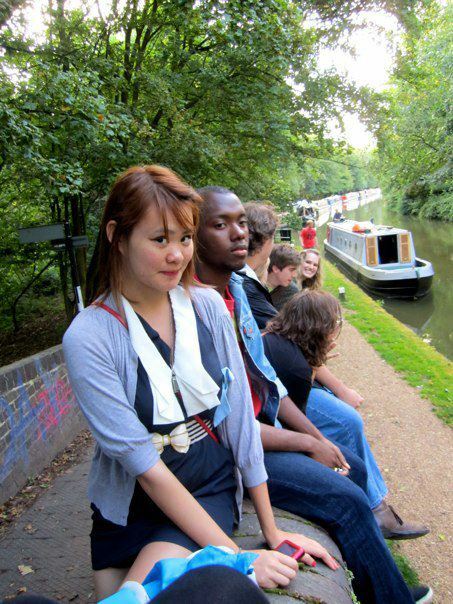 In 2011, I studied British Literature and History at Somerville College, Oxford University. 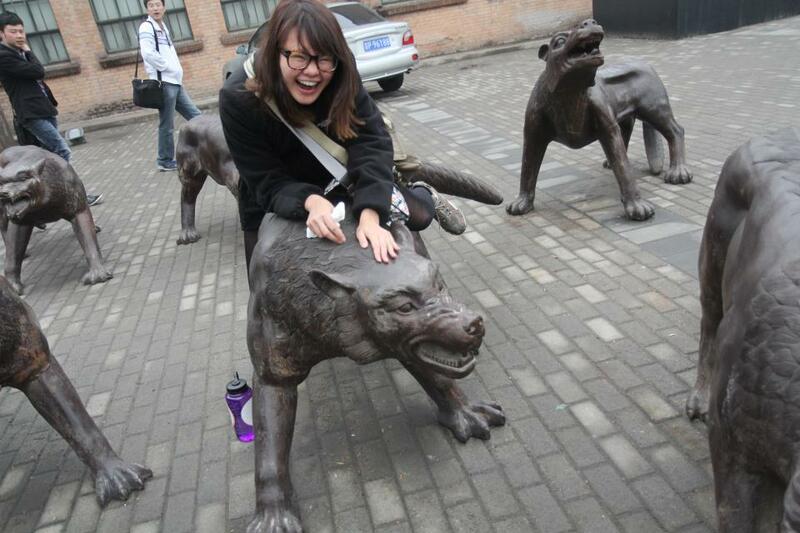 Last summer, I taught middle school theatre at Beijing Royal School in Beijing, China, and before Surrey, I plan on conducting research in bilingual schools in Sololá, Guatemala! Needless to say, I love to teach, and I love to travel! For this trip, I hope to learn new innovative strategies for incorporating technology for both English Language Learners and university composition students.